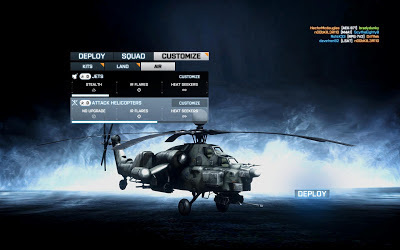 Around November 2011 (gawd has it been that long) I wrote a review for Battlefield 3 and at that time I had quite a bit of pressure to write the review for people to see what I thought of it and it resulted in me doing the review when I’d only been playing the game for about a week so the review was mainly me crapping on about what I disliked about the game rather than doing a proper review, though technically my reviews aren’t exactly textbook as they have a lot of my opinion in there. Anyway as you may or may not know Battlefield 4 has been announced so I thought it would be a good time to make a sort of follow-up post to that review. But now I’ve learned to either like, compromise or just get over these things and just enjoy the game, It’s really the only First person shooter that I play as I’m not into FPS anymore really and I’ve grown to like it even though it’s really not as enjoyable as BF2 was. The install process was really a one-off, now I just copy and paste the files from my last install. 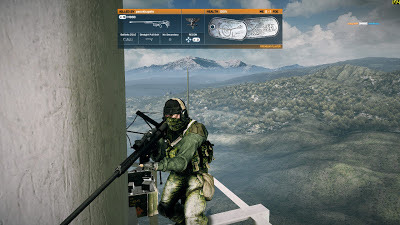 I’ve been reading about the singleplayer for BF4 and its apparently supposed to be somewhat better this time but I’m really not that excited cause I know it’s just going to be the same face-paced crap of the original except possibly this time you might be playing as the same person the whole way through. 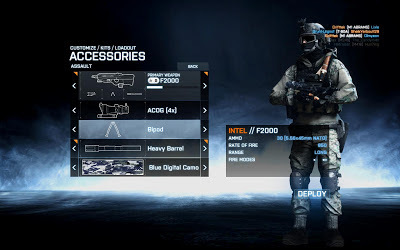 Though reading about it does really make me want to play it again and I might make a run through the BF3 singleplayer again soon, I grant that Battlefield 3 is much too arcade style to be a “base, briefing and choose weapons before level” type of game but it’d be nice if you know what I mean. Here we go indeed, how'd I get here again? I never liked the merged classes system but somehow I got used to it, I mainly play as Assault (Medic) though I go Engineer or Support as I recently decided to take it up and I’m glad I did cause using the Mortar is pretty damn fun, I even forgot I unlocked it. Which is part of the problem with the mixed classed, with Battlefield 2 you had 3 different armies with three different types of starting guns for each class but they were all marginally the same for each class i.e. Assault had standard issue machine guns like the M16 and AK47, Medic has slightly smaller versions of those and the engineer classes had shotguns and when you got enough points you unlocked the classes 1 special weapon (until Euro force expansion where there was two) and this was a hell of a lot simpler to work out then all the guns you get with BF3, not to mention all the extra ones you receive as part of purchasing this and achieving that etc. It made me wonder what the hell gun I was supposed to use and if I used a new one, I would have to unlock all of the upgrades for it and also trying to decide which damn scope to use is hella annoying and I cbf really changing each time. Aaaaa too many options, well I suppose they are useful. You’re often a lone wolf and unless you’re skilled, you don’t contribute much to the squad/team especially in Rush mode. Lots of people go Recon as it mixes Spec Ops and Sniper from BF2 two of the most popular classes. You spend a bit of time running around finding a place to hide with a good vantage point. Of course there will be plenty of players who disagree with me on this and I know that all I need to do is just play the class more as I do miss hiding in the bushes and taking out enemies from afar, but I reckon I have more fun running around as Medic or Support and helping my squad, I’ve only recently discovered I can use the Mortar with support, it’s hard to use but it’s pretty fun. Engineer is probably the most used class out of all of them so I rarely go them unless I’m in the helicopter repairing it. Mortar, quite possibly the laziest way of fighting, works best on infantry maps to the ire of most of the community. The Minimap was so easily fixable I don’t know why I bothered complaining about it, all I had to do was bind the see all map key to caps lock though then of course YOU ACCIDENTALLY TYPE IN CAPS SOMETIMES. The lack of Commander mode I just accepted, though there has been more and more evidence of commander mode being in Battlefield 4 so I guess I can just look forward to that. And finally the two seater jet, I don’t seem to try to get in Helicopters or jets as much as I used to, of course I only sat in the back seat with jets maybe their more hotly contested now or maybe I just prefer to go on foot. I’m definitely a bit overwhelmed by all the upgrades, I often just go iron sites as I’m really at a loss of which scope to use and can’t really be bothered changing it every map. It took me quite a while to work out that there were also upgrades for vehicles too which I realised that the all things that were missing from BF2 i.e. 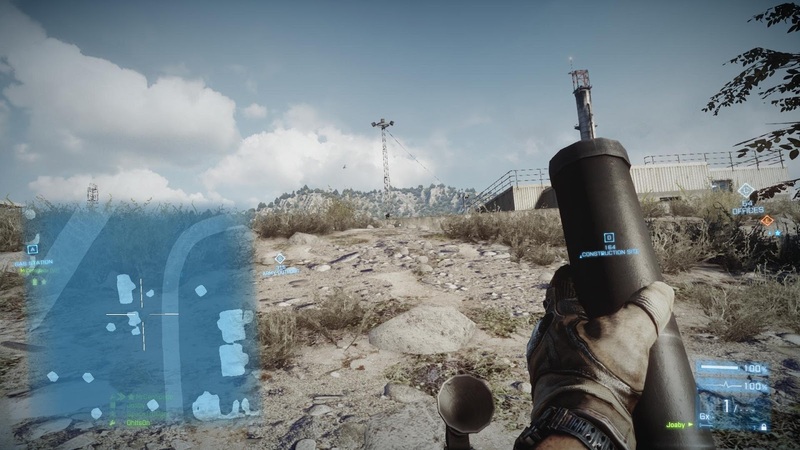 the TV missile on helicopters and Missile for the APC’s (in Back to Karkand) not to mention auxiliary machineguns for tanks which annoying you can’t just use the right mouse button for you have to actually switch weapons. There's even separate unlocks for the chopper gunner and pilot. Though these changes have been bearable and I must admit despite my grievances I have had fun playing. The next thing I must mention though were the many expansions that kept the game alive. Back to Karkand – Probably my favourite, this one introduced 4 maps from Battlefield 2 complete with the same vehicles and weapons. 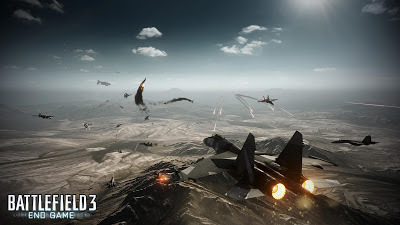 Armored Kill – Similar to BF2’s Armored Fury, Armored Kill brought massive maps, new artillery vehicles and tanks, ATV’s, an AC-130 Gunship and a Tank Superiority mode which I really have to see if I can play sometime. 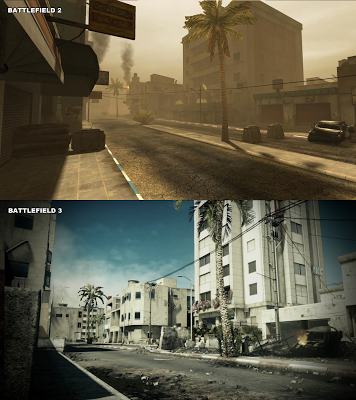 Aftermath – Which was based on an earthquake ravaged Tehran came with new maps, vehicles and anew weapon, the Crossbow. 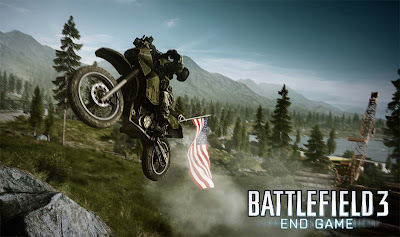 Endgame - And last but not least the interestingly named Endgame which features fast and frantic gameplay, dirtbikes, dropships and the ‘Capture the Flag’ and Air Superiority game modes. 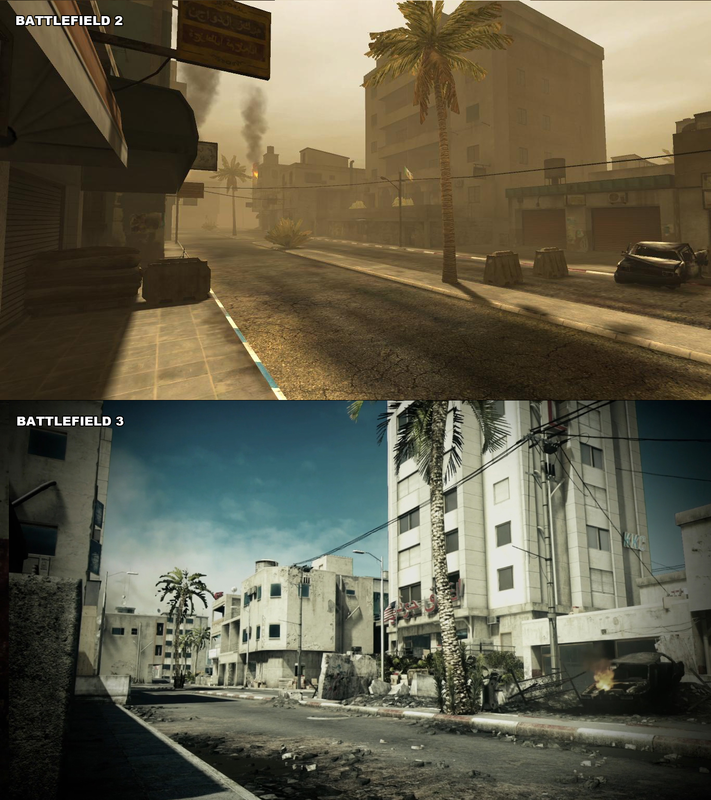 Endgame also included 4 maps inspired. Да! У меня есть американский флаг, о нет! Где моя голова ушла! I’m glad capture the flag was put in as it takes me back to the days of Vietcong and changes the gameplay quite a bit when you’re half shooting each other half trying to grab the flag. Air Superiority is something that was apparently from Battlefield 1943 and put in at the last minute, a map designed specifically for planes only where you spawn right in them which is used with the Endgame. Air Superiority Mode: if you view the high res you can see one of the Zeppelins on the top left which act as capture points. 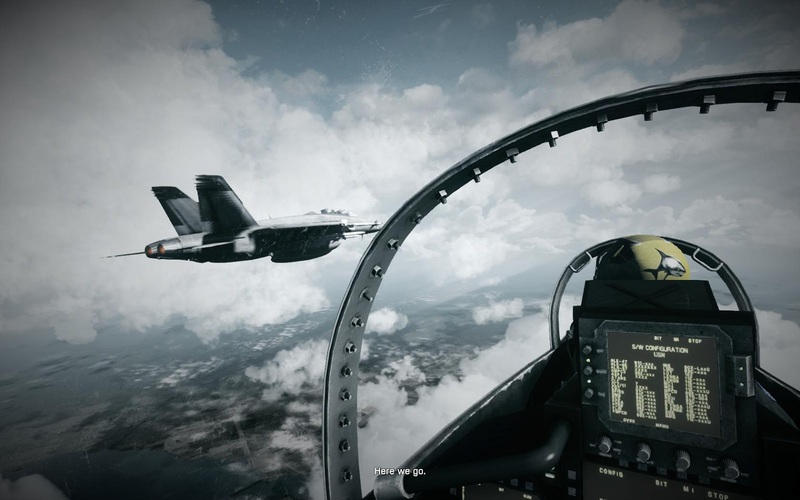 Battlefield 4 is scheduled for October this year so it’s still a while away I might make another post on what’s happening, but in the meantime I’m just going to keep playing, maybe as Recon some more but we’ll see, I must try and fly some aircraft too even though I’m crap at it. I love Battlefield and will play whatever comes out next though depending on how much they change it.